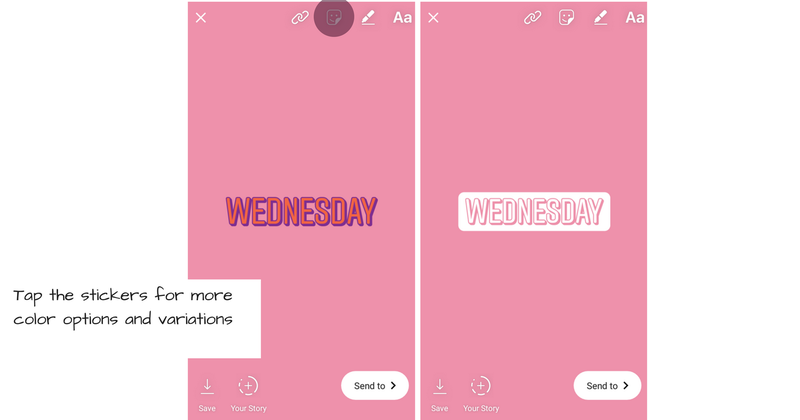 Ready for a few tips and tricks to make your Instagram Stories a bit more interesting? 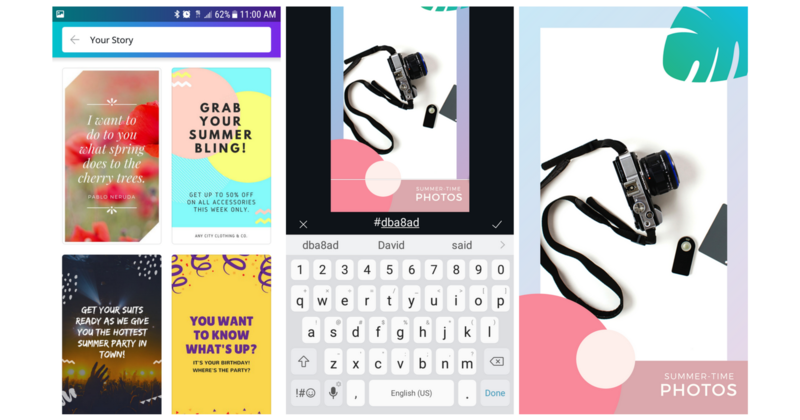 Besides swiping left and right for the filters, there are a number of cool features to be found inside of your Instagram Stories editor. So, let’s start with some basics and move to the more complex and see what ideas you might love to try next! When it comes to creating on-brand stories, it’s nice to have access to colors, and not just primary and bright colors. 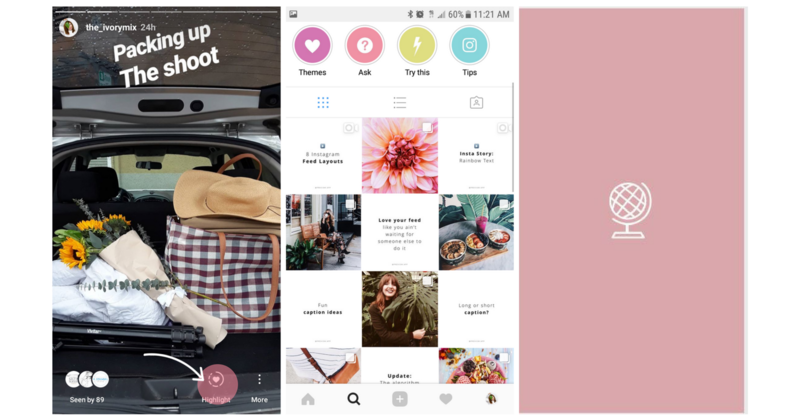 If your brand has more pastel or muted tones, you’ll want to access the full palette of Instagram Story colors by using the eye-dropper. You can even select colors from the image you’re about to post. The photo featured here in this example is from our Self-Care stock photo collection. Click here to see it. Holding down the pen tool will add a solid color background to your image. 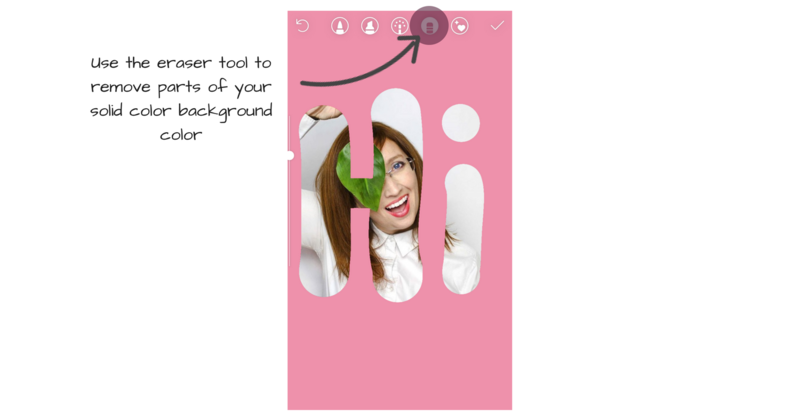 The highlight tool can add a more transparent background, showing some of your background image still. Want to show a sneak peek of something coming? You can use the eraser tool to show part of an image. 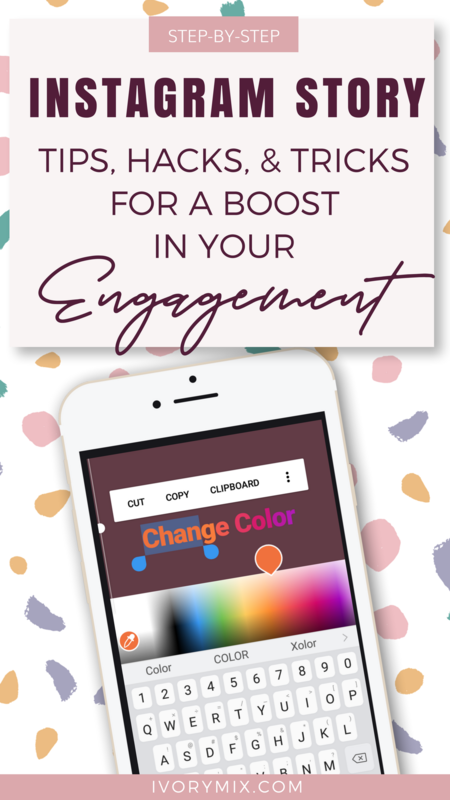 Add some interesting color gradients or even a rainbow effect to your text using ALL of your fingers. This one is a bit tricky at first, but once you get the hang of it, it’s fun to play with. Click to watch the complete video tutorial here OR follow the step by step below. step 4: then slide BOTH the text selection AND the color slider at the same time, running from purple to blue. 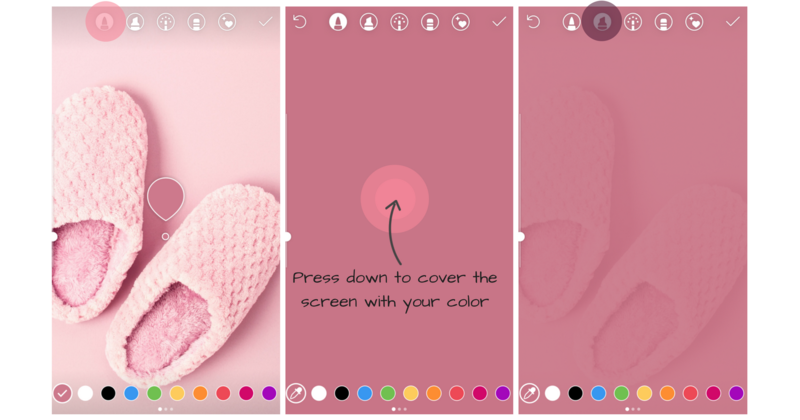 Gradient Option: slide up and down along one color to create a more gradient effect. 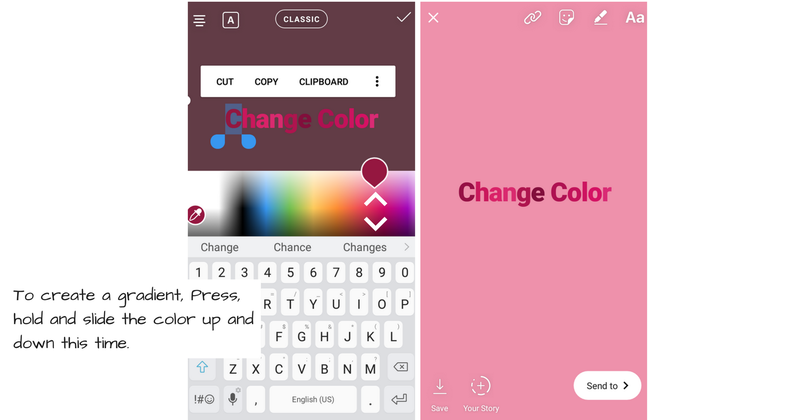 Instagram has wonderful extra features like GIF’s and stickers you can add to any image or video you add to your stories. But, what you see isn’t all that you get. Some stickers have variations you can access by just double tapping. 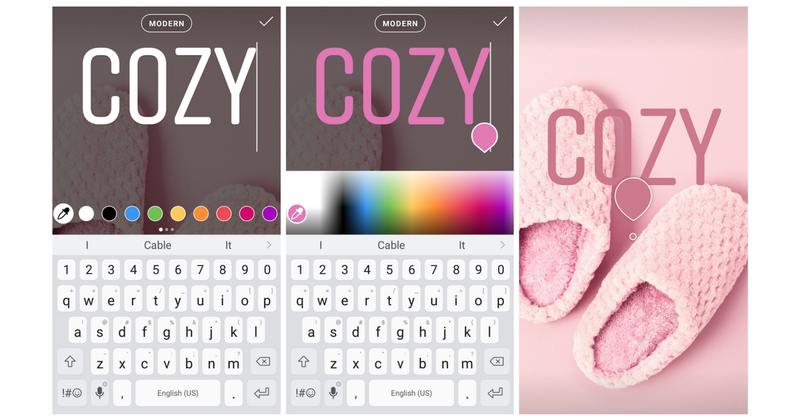 Instagram also give’s you multiple options for the text style. You can change the text to a unique font and then for some added detail, duplicate your text again and change the color. Once you’ve have both on the screen, just overlap them to create a neat shadow. If you’re familiar with Canva on your desktop already, you might LOVE the app too. 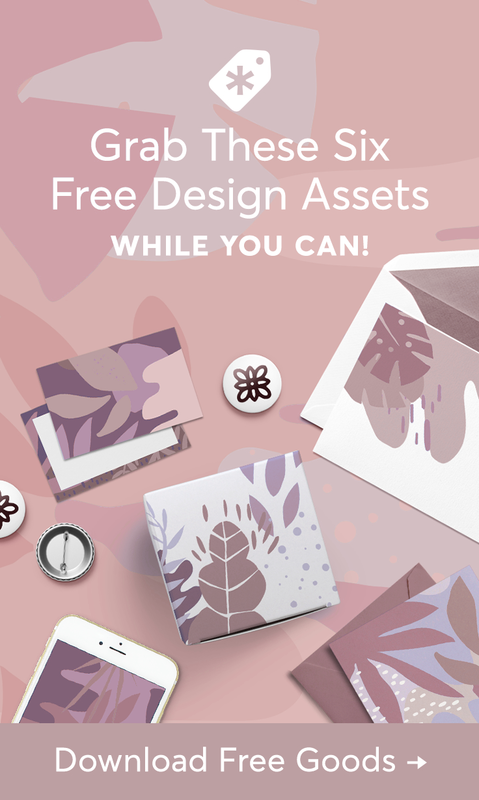 This free platform allows you to create reusable templates in just about any size you want, and access it from your phone. 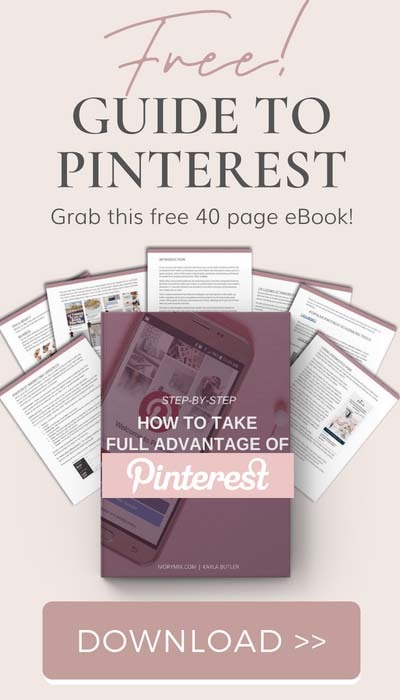 You can customize their pre-made templates with your fonts and brand colors. 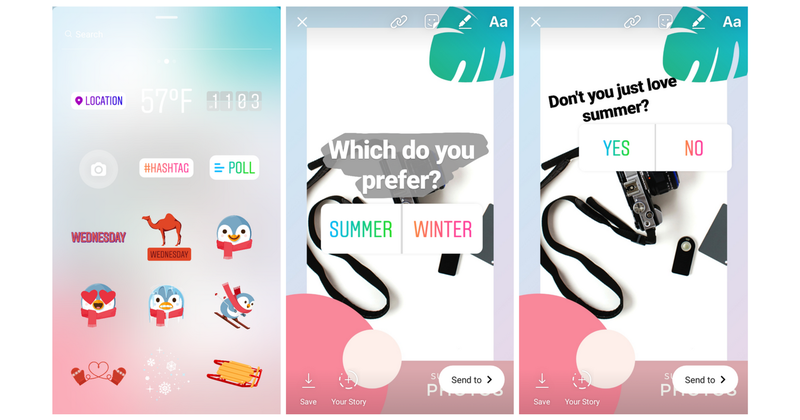 Inside of the same place where you get stickers for your stories, you can also add a POLL. Polls can be used for many things. If you’re thinking about starting a new project, but want to ask your audience what they think first, you can use polls to get feedback. Get feedback by asking a Yes or No question or Present options with a This or That question. 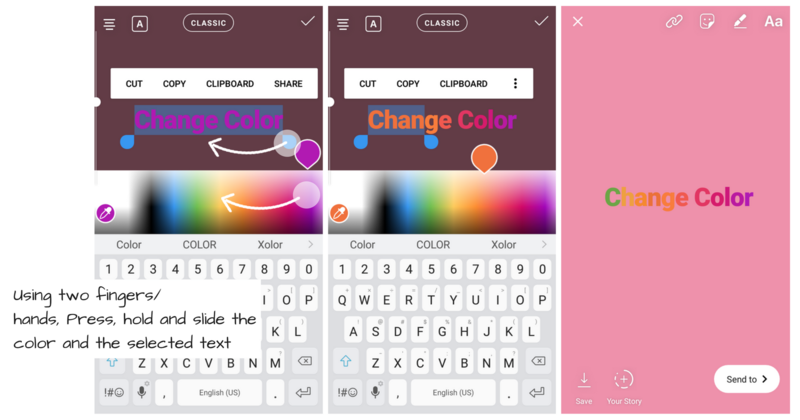 Besides adding text to your Instagram Stories, you can also use your extended keyboard options too. 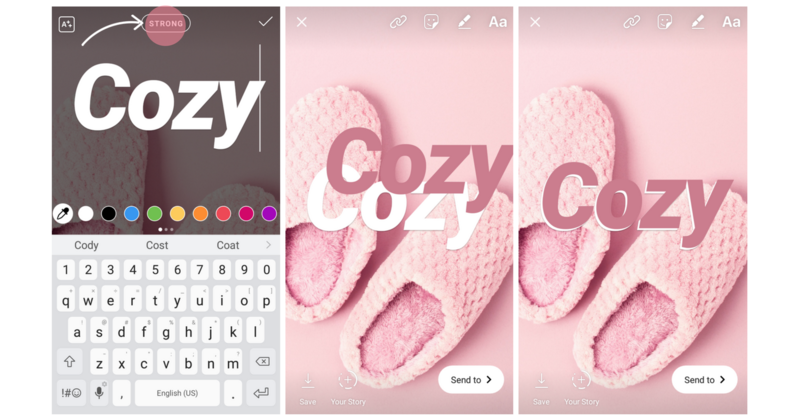 These little options can add a bit of design to a simple image when you’re posting more casually, without using the same stickers as everyone else. 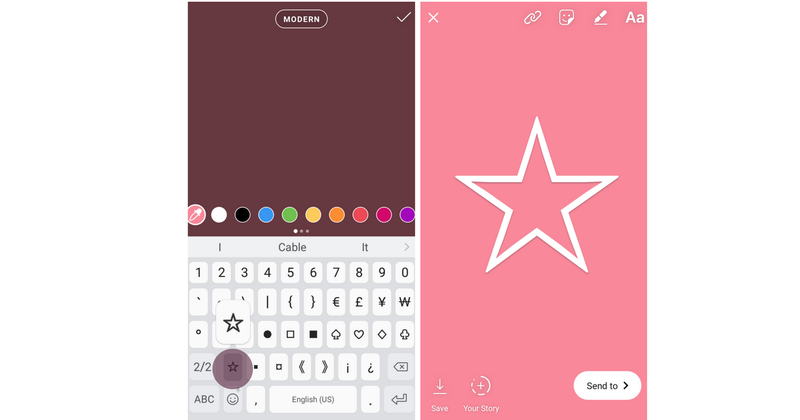 Have you seen the highlight feature on your Instagram stories yet? It’s a little heart symbol icon on the bottom right of your stories. Once you hit that, you can add highlights to your profile, like you see below on this sample account. 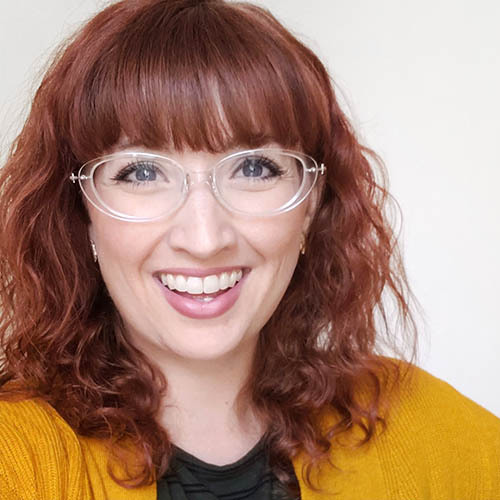 The neat thing is, you can create a cover image for your highlights so they are on-brand with your website and other elements of your account. 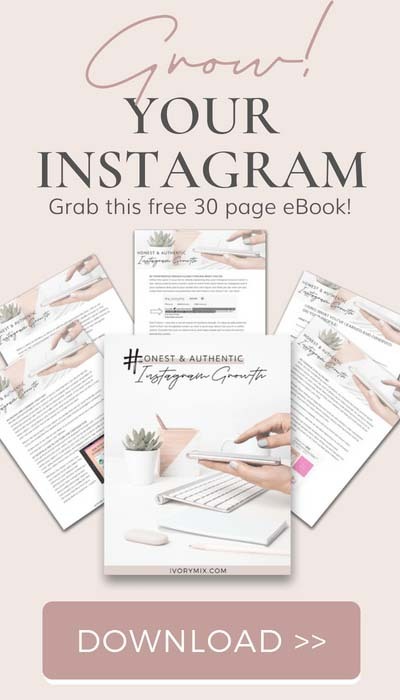 It’s as simple as uploading an image to your story and highlighting it. In this example, we’ve used canva to create a color background with a simple icon. Much like you see in the example account shown.